They say you can’t teach an old dog new tricks, but apparently, that doesn’t stand for cats. Especially, Bubba. Bubba LOVES to learn new things. That’s why he’s always at school. Bubba is actually an official “student” at Leland High School and has the I.D. to prove it. 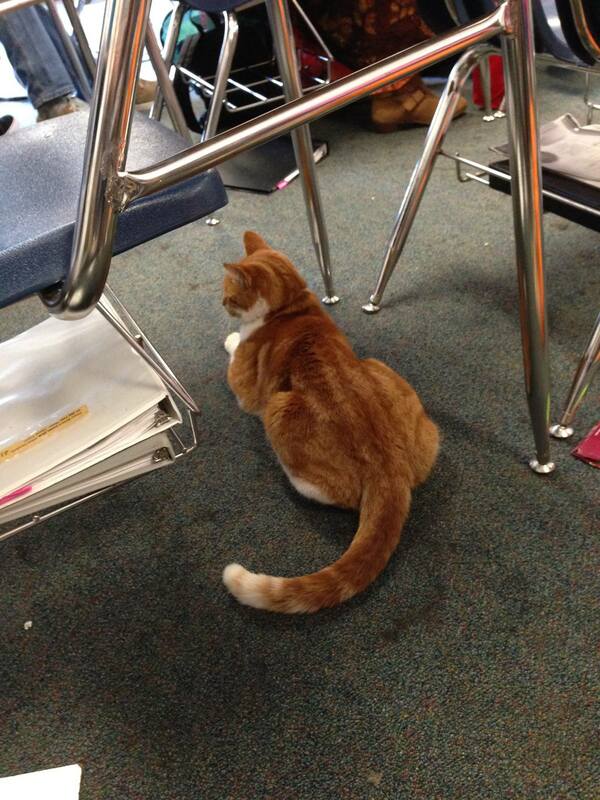 The curious kitty is often seen roaming the school’s halls, sitting in on a class, watching a sporting event, or cashing in on the affection of his fellow students. Bubba’s humans are the Marienthals. The Marienthals tried to make Bubba an indoor cat but Bubba wasn’t having it. He would loudly protest until his family started letting him out in the mornings. Bubba would immediately head to his go-to spots Leland High School and Bret Harte Middle School where he spends his entire day. 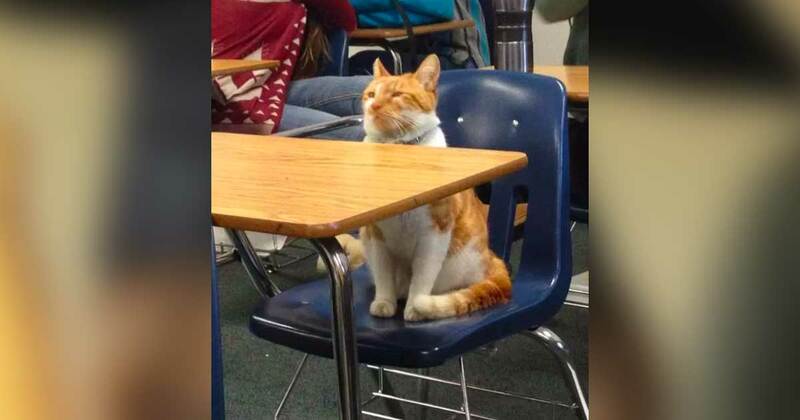 Bubba has been going to school every day since he was adopted in 2009 at age 2. In 2016, he was finally given his own school card and got to graduate in his cap and gown in June. 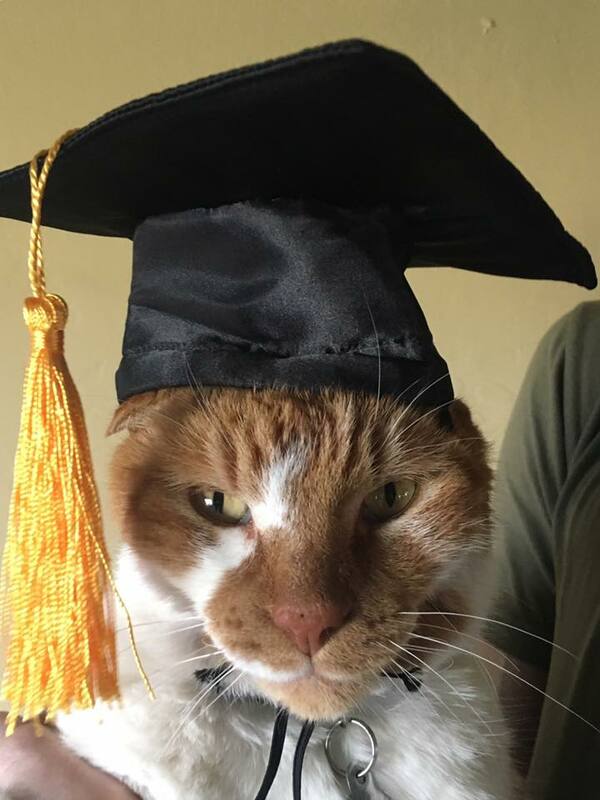 “I officially graduated high school yesterday, along with 436 awesome kids (many of whom adore me),” Bubba wrote on his Facebook page. 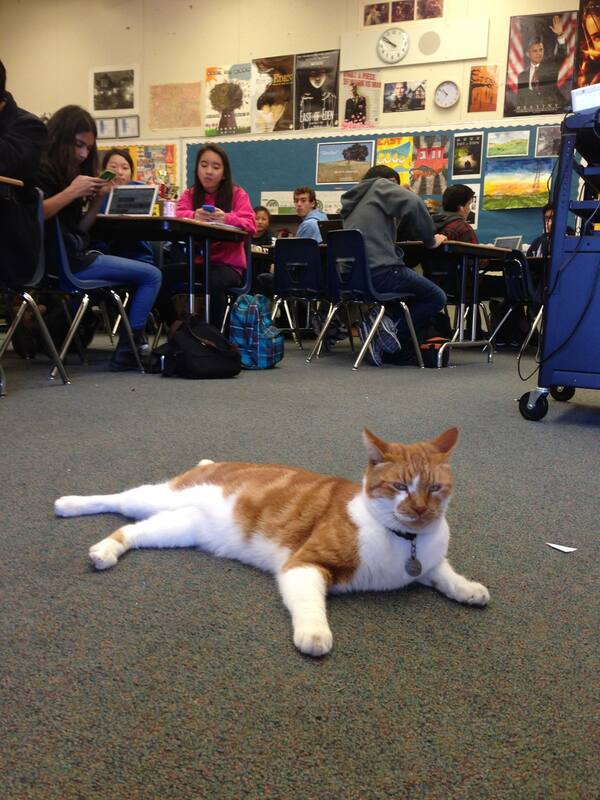 For the most part, Bubba stays out of the way and doesn’t cause too much of a disturbance at the school… aside from his begging for treats and head rubs. Bubba has become quite the public figure, even outside of school. His Facebook page has more than 60,000 fans and he was recently featured in a four-page spread in National Geographic’s book Cat Tales. 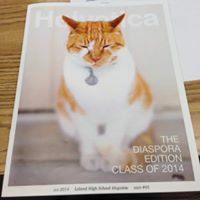 He’s constantly getting letters and treats from his beloved fans and is always in the school yearbook. Sometimes all of the attention kind of goes to his head. But we don’t hold it against him. Anyone who is so devoted to education is A-OK in our book.